What does it mean to describe a play as feminist? What are you looking for when you put out a call for “feminist” scripts? This series is an exploration of possible answers from different angles by WIT Online, a journal of the League of Professional Theatre Women. I like the openness of that, but still craved a specific and definite example. I found one. Can a feminist play be written by a man? Does the main character have to be a woman? Does that woman have to be ‘good’ or ‘right’ or fighting for her rights or what, exactly, what? 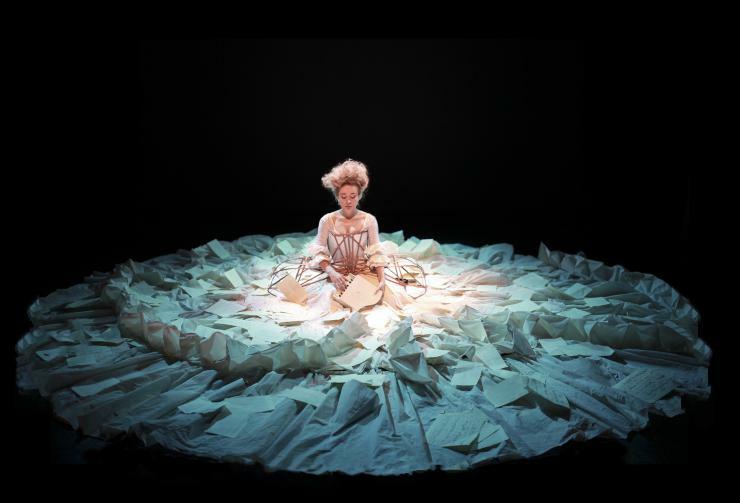 Sylvia Milo in The Other Mozart. Photo by Charlotte Dobre. But what about stories that are not specifically about women, or women’s history, or even written by women? Mac Roger’s sci-fi trio The Honeycomb Trilogy which includes the plays Advance Man, Blast Radius, and Sovereign wouldn’t seem to belong in the same universe as The Other Mozart. These are two-act, multi-character, science fiction extravaganzas. They each pass the Bechdel Test—full of women (and men) who have plenty to say, and not much of it about romance. The main character, Ronnie (short for Veronica), is a true hero. But she’s not always a particularly noble character. She makes compromises and flawed decisions and brutal sacrifices on her way to victory. And that is why I would call these feminist plays. They may not be “about” feminism, but they are the type of work a feminist would be happy to act in or direct or design. 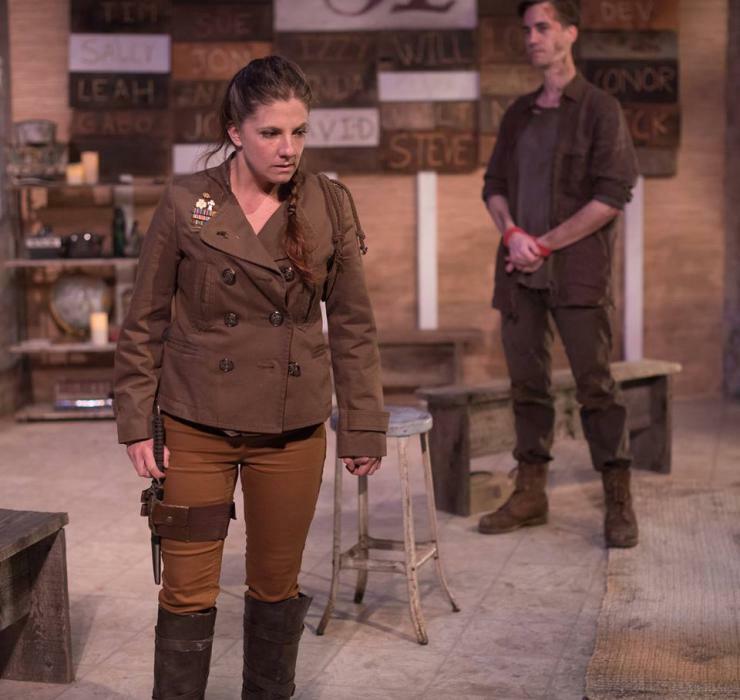 Hannah Cheek and Stephen Heskett in Sovereign by Mac Rogers. Photo by Deborah Alexander. I asked Rogers if this was a specific choice of his and how it came about. This brings me back to Elaine Romero’s very open definition, so I’ll include some of her recommendations. You could start with her play Catalina de Erauso. She also listsRapture, Blister, Burn by Gina Gionfriddo, The Bachelors by Caroline V. McGraw, Gumby Karen Hartman, Dry Land by Ruby Rae Spiegel, Bliss (or Emily Post Is Dead!) by Jami Brandli, and Behind the Eye and Lasso of Truth by Carson Kreitzer. That’s a very partial list. I would love to see more examples and recommendations in the comments. Because “what is a feminist play anyway?” isn’t a question I’m answering in this blog series. It’s a question I’m asking. Previous post ← Equity in Theatre: What exactly does it mean and what would it take to actually have it?